The class listed above is now on Fridays and by appointment only. Please call (866) 236-0346 to participate. 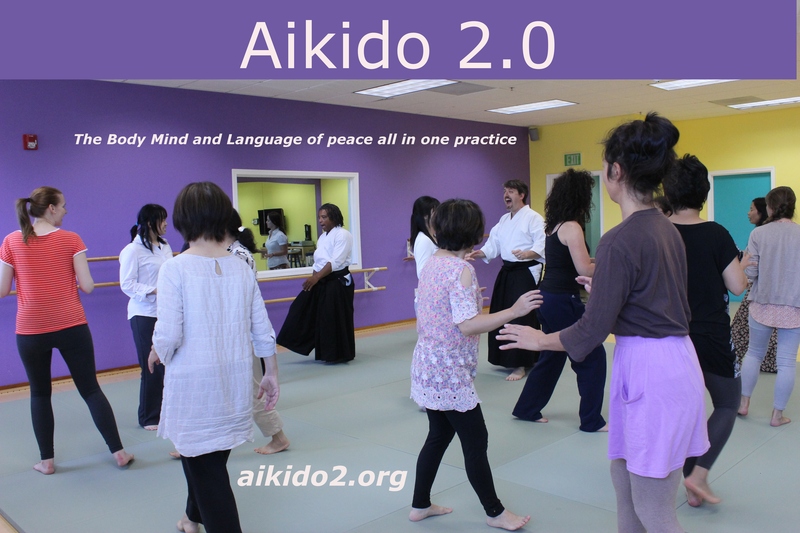 Association Building Community supports the next phase of the Art of Peace...Aikido 2.0, which begins with the traditional aikido body movement but incorporates language and thought explicitly, on the mat, as soon as the basic movements are clear. Anyone can do this and call the terrain they are exploring Aikido 2.0. Most conflicts in civil society are in large part verbal. Words are the gateway to the mind, aligning action and intention. 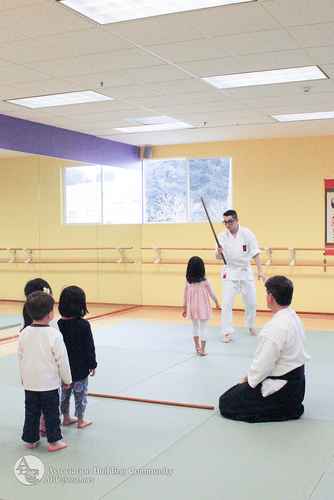 As the founder made clear that the purpose of aikido is not to throw down some opponent but to transform conflict in the world, why not practice that in every dojo? Then learn with us beyond Aikido 2.0, through improvisation and facilitation skills, to become a conflict professional. 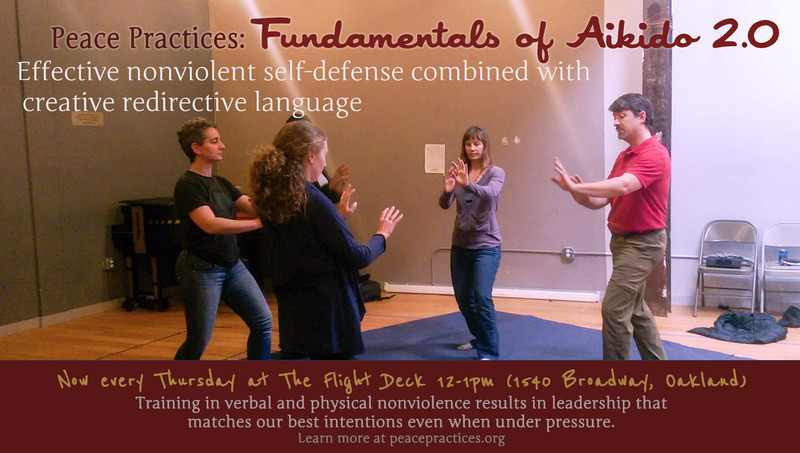 Practice Martial Nonviolence and become a Peace Practices Instructor.